Francisco Ferrer Guardia was an educator and founder of “Modern Schools”, which taught radical social values. He was executed by the Spanish state, by firing squad on October 13th. 1909. On October 21st. 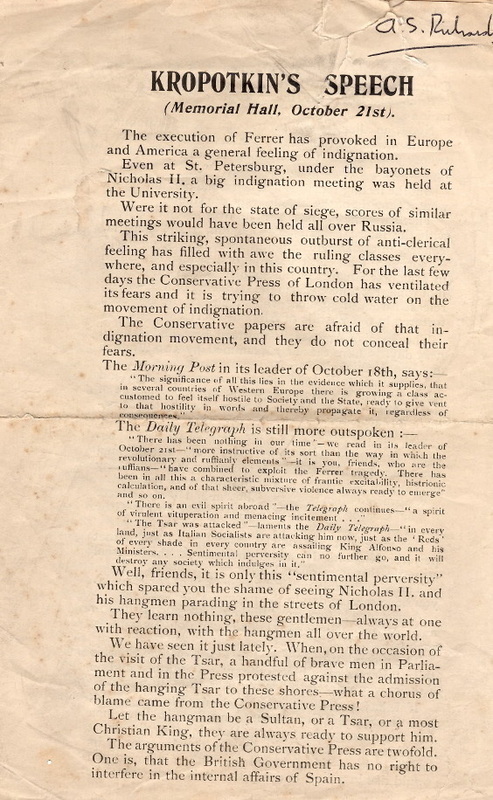 1909, Kropotkin gave a speech on Ferrer, in the Memorial Hall London. Spirit of Revolt is fortunate to have an original copy of that speech, and are delighted to share it with the public at large. Read on line, PDF and other downloads.